This week has four new releases and some Black Friday sales! Makes sure to check it all out. First is a collaboration with Brook Magee and Blagovesta Gosheva. A Nutcracker Christmas with Blagovesta Gosheva and Brook Magee is reminiscent of family traditions. This soft pastel kit will inspire you to create layouts of going to the ballet and other seasonal recitals and events during the holiday season and all year round. 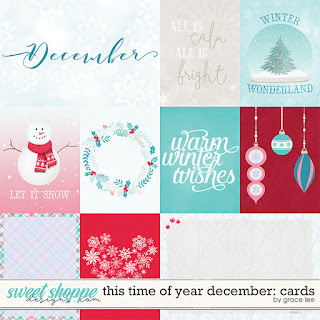 The colors and patterns are also great for your winter wonderland pages as well. Second is the next installment of the Out and About series. 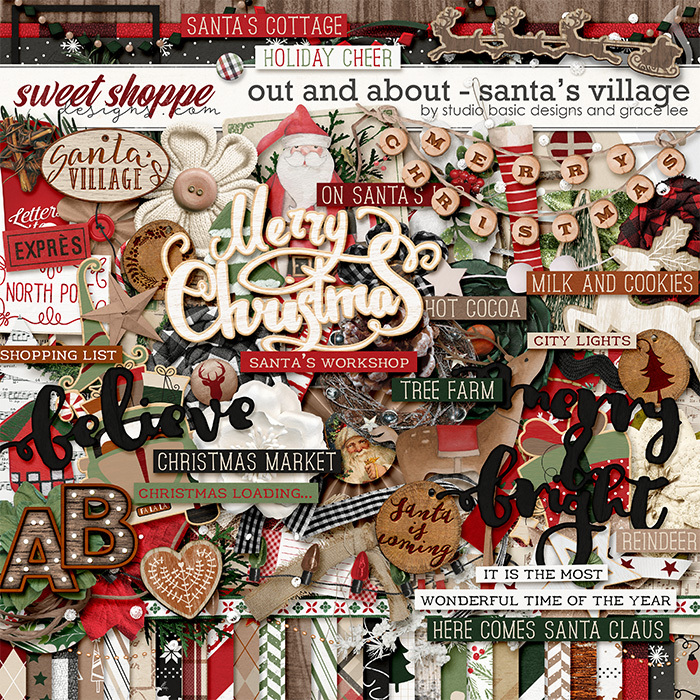 Out and About - Santa's Village with Studio Basic is a very jolly seasonal addition to their 'get-out-and-explore' themed collection. 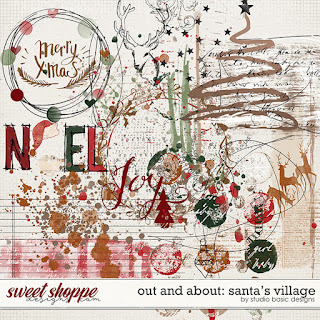 Stuffed full of classic Christmas style, you're sure to get that happy, fuzzy feeling whilst scrapping or journaling about family Christmases, past and future, with 'Out and About: Santa's Village'! 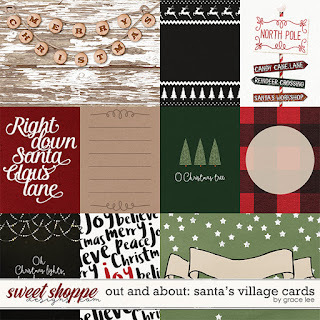 Full of joyful finishing touches, a vintage marquee style alpha, oodles of character and rustic harm, this kit is perfect for the whole season including your Christmas market photos, visiting Santa and more!...perhaps even creating your own cards, gift tags, or 'to do' lists so 'Santa's helpers' are comfortably organized for the holidays?! 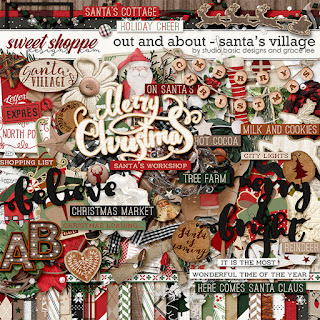 Out and About: Santa's Village Bundle includes the kit, journal cards and paints. The last two are the final installments of the This Time of Year series. 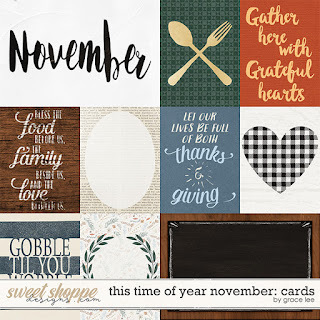 This Time of Year November is all about family and inspired by blessings of special gatherings, delicious meals and things for which we are all thankful. 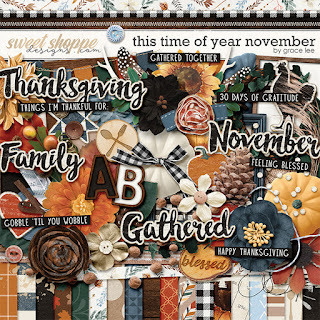 The rich, rustic, warm colors of this kit will help you create countless layouts of your Thanksgiving fun and so much more! Don't miss out on the AMAZING Black Friday deals in the shop. 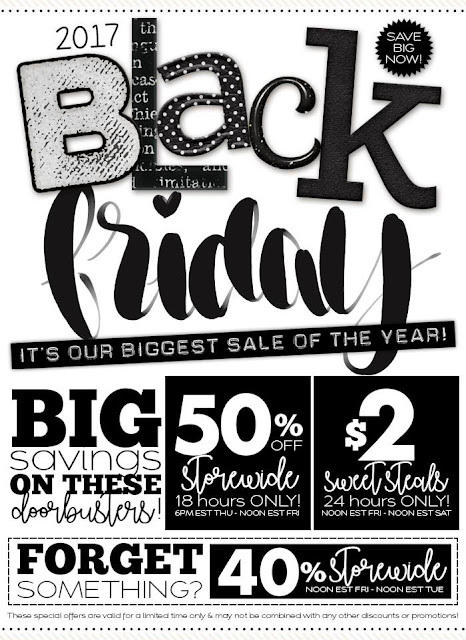 50% off tonight until noon EST Friday! 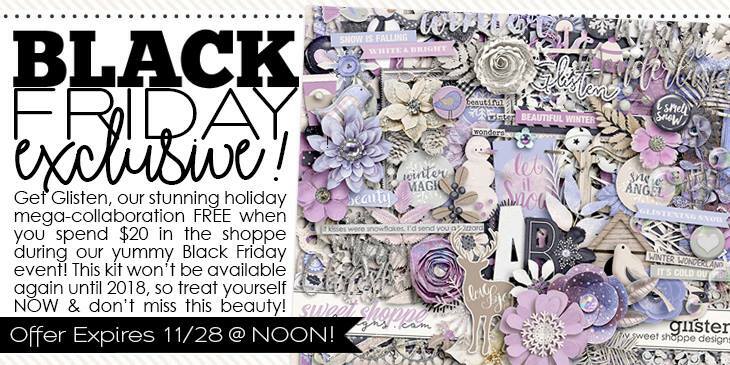 Then check out the $2 Sweet Steals from noon EST until noon Sat. Get this beautiful kit when you spend $20 in the shop during Black Friday!